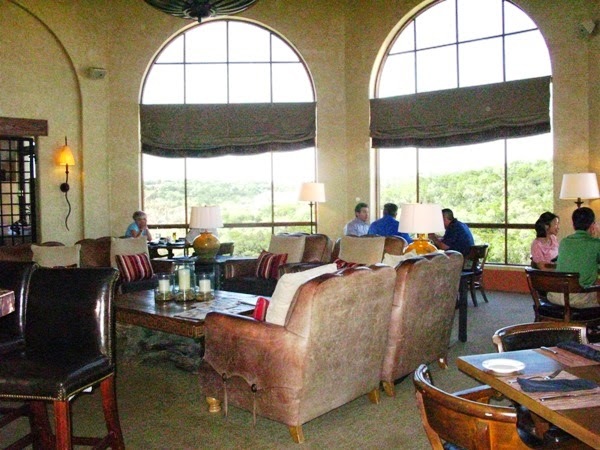 I’ve visited La Cantera Hill Country Resort in SanAntonio and was duly impressed with the western elegance, colorful landscaping, and luxurious rooms. That was several years ago. Now the management company, DestinationHotels, has committed to a multi-million dollar transformation that will affect the entire footprint of the 250-acre facility that appeals to both business and leisure travelers, including families. 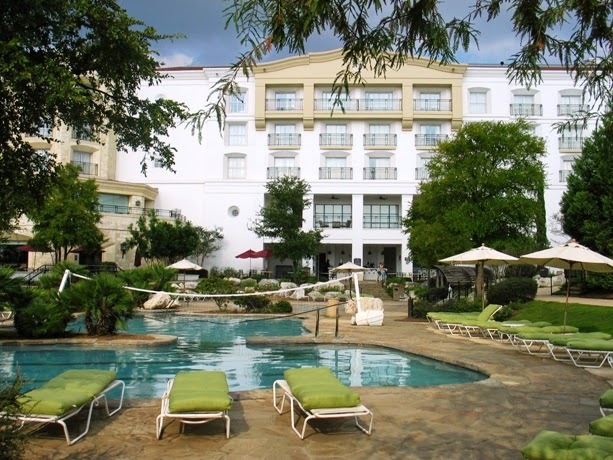 Changes include the construction of a new, freestanding destination spa, an extensive reconfiguration of the front entrance, lobby and lobby bar, and a complete redesign of the San Saba Courtyard including a new event lawn. A junior ballroom, expanded meeting and convention space, redefined restaurants, bars and lounge concepts, and contemporary pools and family areas are also on tap in the most extensive reshaping of the resort since its opening in 1999. 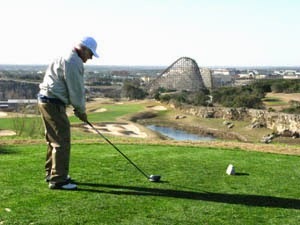 Palmer Golf Course overlooks Six Flags over Texas theme park. “Because the magnitude and impact of the project will prevent our associates from providing our guests with our customary offerings and services, the resort will suspend overnight accommodations and restaurant operations during the major phase of construction from November 3, 2014 through early April 2015,” said resort Vice President and Managing Director John Spomer. “Both of our award-winning golf courses – the Resort Course and the Palmer Course – will remain open and operate as usual during the renovations, as will their respective clubhouses and adjacent event venues,” Spomer added. Golf courses will remain open during the hotel transformation. 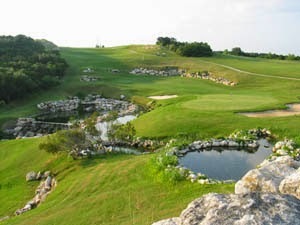 Perched atop one of the highest points around San Antonio, La Cantera Hill Country Resort offers sweeping views of the Texas Hill Country and a huge expanse of majestic Live Oak groves interrupted only by native Texas limestone outcroppings, golf course fairways, and sparkling pools. 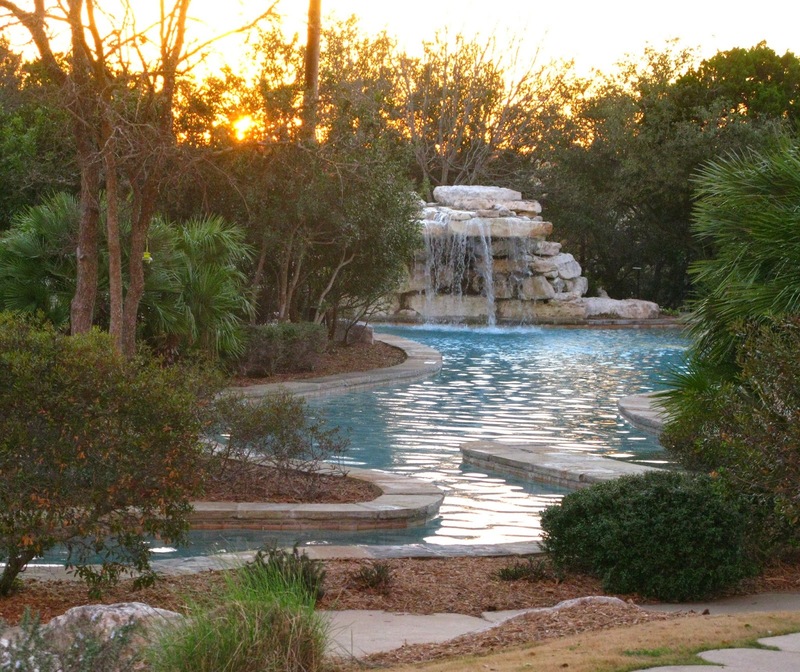 Sunset is a beautiful time at one of the pools. Over the past 15 years, San Antonio has enjoyed record growth, bringing a diverse group of visitors to the area. It is a popular escape not only for Texans, but also for visitors from around the world, and La Cantera aims to keep pace with the demand by updating the facility in this major undertaking. I’m anxious to see the changes next spring.